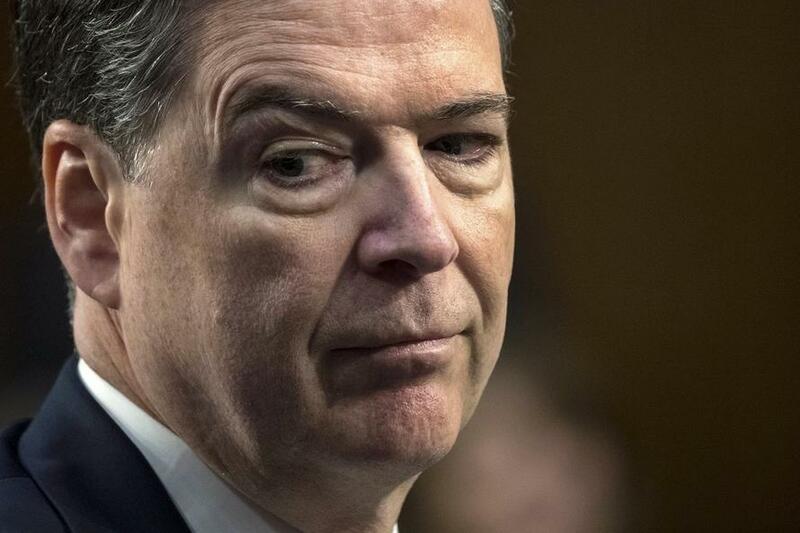 Fired FBI Director James Comey - who put two pro-Clinton / anti-Trump FBI employees in charge of investigating both Clinton and Trump, lashed out at the president and GOP lawmakers on Monday, according to The Hill. "So another day of Hillary Clinton’s emails and the Steele dossier," Comey quipped to reporters following six hours of closed-door testimony on Capitol Hill. "This while the President of the United States is lying about the FBI, attacking the FBI, and attacking the rule of law in this country. How does that make any sense?" Comey also slammed GOP lawmakers for sitting on their hands. "Republicans used to understand that the actions of a president matter, the words of a president matter, the rule of law matters, and the truth matters. Where are those Republicans today," said Comey. "At some point, someone has to stand up and in the fear of Fox News and fear of their base, and fear of mean tweets, stand up for the values of this country and not slink away into retirement." The former FBI Director also refused to deny that he leaked classified information after he was fired as FBI Director - an assertion made by President Trump and others in April after it was revealed that Comey released what he claimed were personal memos documenting conversations with then-president-elect Trump in which he says he felt pressured to end the investigation into former national security adviser Mike Flynn. Comey gave the memos to his friend and FBI employee Daniel Richman, a Columbia University professor, to be leaked to the New York Times in an effort to instigate the special counsel investigation. Is everybody believing what is going on. James Comey can’t define what a leak is. He illegally leaked CLASSIFIED INFORMATION but doesn’t understand what he did or how serious it is. He lied all over the place to cover it up. He’s either very sick or very dumb. Remember sailor!